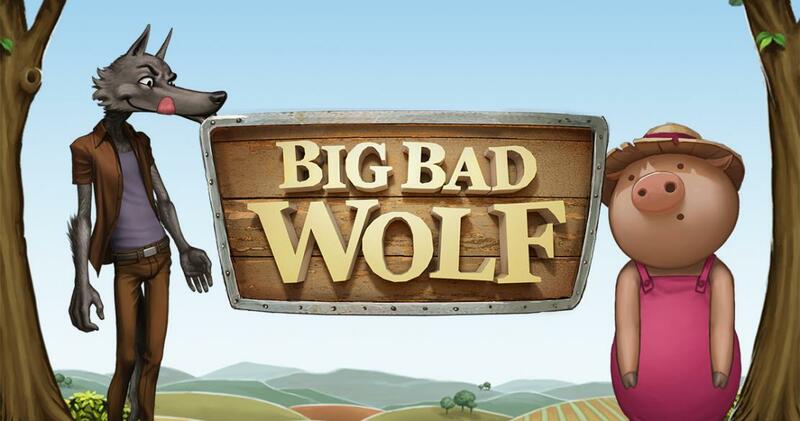 Big Bad Wolf is a game that is themed around one of the most popular children’s stories, the one about the wolf and the three little piggies. Big Bad Wolf’s story will revolve around three pigs that have built themselves three houses. They’re made out of straw, wood and bricks. The wolf comes and huffs and puffs, and takes down the first two houses, because they’re not made well enough. The third one stands though, and the moral of the story seems to be that of the thing well done. The game is a superb creation from Quickspin, with high quality graphics used for it, with 25 lines on 5 reels, and with features like the regular wild, like Pigs Turn Wild, scatter symbols with the Wolf or the Moon, bonus games and free spins. The prizes appear to be going up to $4,000 at most. The Total Bet, which is the only option that you get to modify, will start at $0.25, which would mean $0.01 per line. The highest value you can choose is $100, so $4 per line. The game only asks you of the total amount you want to use, listing a number of predetermined options in a pop-up menu. You’re getting a feature rich environment from Big Bad Wolf, and it all starts with the regular wild. It shows you a bee nest, with the word Wild written next to it. This is the regular wild, which you simply use to substitute for the standard symbols, and to form combos that pay up to $4,000. There is also a feature called Pigs Turn Wild. For every two wins that you land in this game which have pigs in them, there will be one pig turned into a wild symbol. The 2nd win turns the first pig wild, the 4th win turns the second pig, while the 6th win turns the third pig into a wild. The Wolf has been used for the scatter in this case, a symbol that when appearing in 3+ positions will trigger 10 free spins. You can retrigger the free spins with the same number of Wolf scatters. During the free spins, there is a bonus game of sorts, which is based on the story, and it’s called Blowing Down The House. You have to collect Moon symbols from the 5th reel, in order to help the wolf take down houses. With three collected Moons, you get 2 extra spins and the wood house is taken down. With six collected Moon icons, you can take down the brick house, and from it you will get 2 free spins and a multiplier of 2x for the following wins. It’s an enjoyable game, with a great design and loads of interesting features. It’s not the only one to be themed around this particular story though.